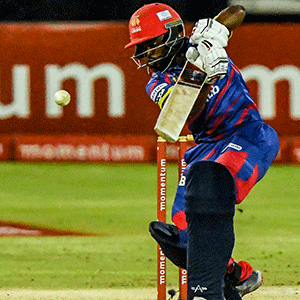 Cape Town - Captain Temba Bavuma is delighted that the Highveld Lions are still in the One-Day Cup semi-final mix and hopes for one more clinical performance in their final league game against the Dolphins in Potchefstroom on Saturday. The hosts won a gripping Jukskei derby away at the Titans, who have already assured themselves of top spot, on Thursday to give themselves a chance heading into round 10 when the regular season will conclude. "It was an important victory for us as a team because it keeps us right in the mix," Bavuma reflected. "It was probably one of our better and more clinical performances out there. "Now we can look forward to that last game knowing we still have a shout. Hopefully we can put on more performances like we did against the Titans." "The way the guys batted and bowled was a big positive," Bavuma added. "The way the match ended, the bowlers showed very good BMT (big match temperament) when it counted most. "As a team we've been looking for someone to lead the attack, guys like Malusi (Siboto) and (Wiaan) Mulder, they definitely put up their hands." The Dolphins, meanwhile, booked their semi-final ticket when they beat the Warriors emphatically this week. Their coach Grant Morgan does not want to take any chances, saying they would be going all out to win at Senwes Park. He added: "It's important for us that we maintain this momentum and winning form going into the semi-finals. "We just want to do well for the people back home, and for ourselves."